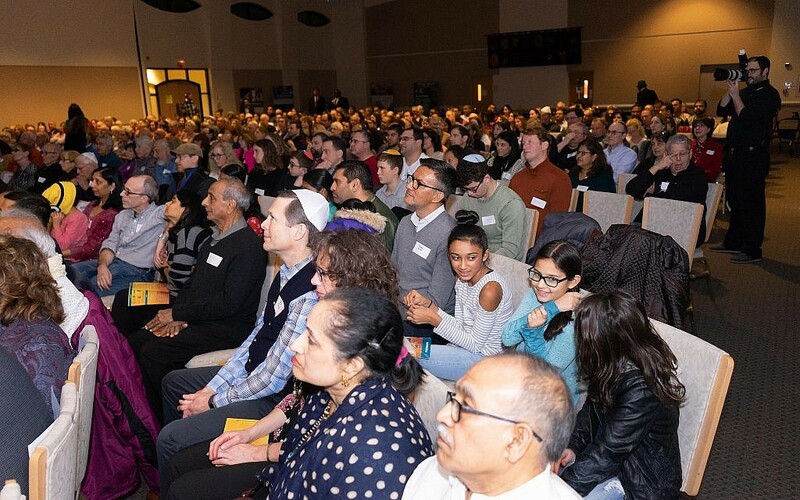 CHICAGO — A joint Hindu-Jewish Festival of Lights drew over 400 people to a suburban Chicago synagogue on Sunday, as together they honored the similarly-themed holidays of Hanukkah and Diwali. 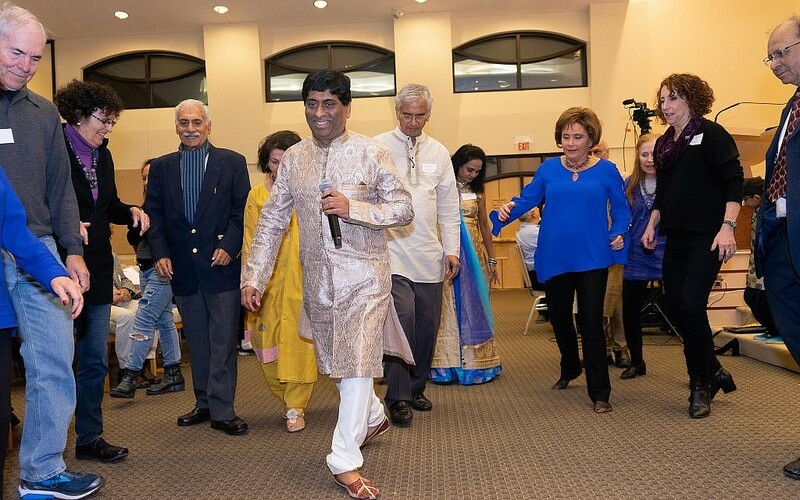 The evening, which featured speakers, candle lighting, food from both cultures, dance lessons, and the world’s only Indian-Jewish stand up comedian, was hosted by Temple Beth-El in the Chicago suburb of Northbrook, Illinois. 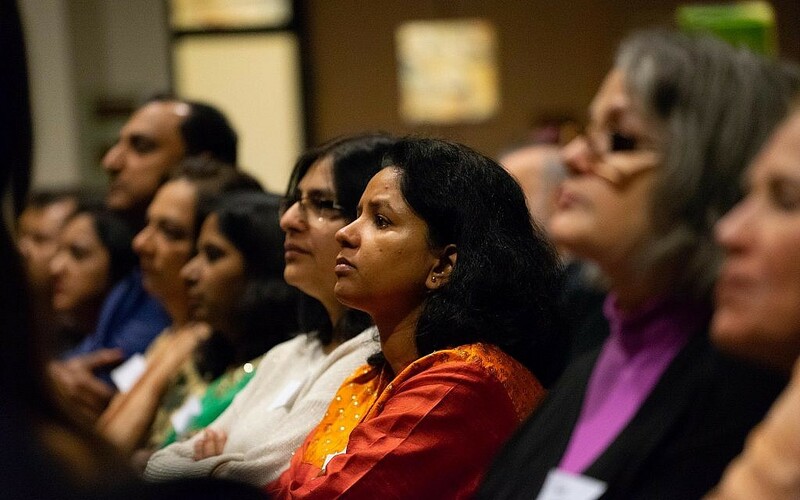 The Chicago event has inspired similar gatherings nationwide — from a December 8 celebration in San Francisco, to events being planned in New York, Atlanta and Florida. The Chicago organizers also look forward to organizing a collective celebration of Purim and Holi, the Hindu spring festival, in 2019. 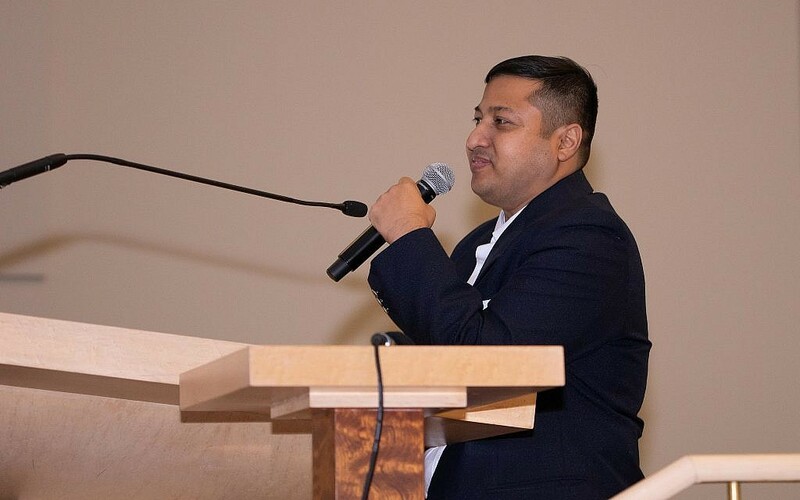 “I think we connect over a shared sense of pain and overcoming adversities,” Sunil Krishnan told The Times of Israel as people mingled before the program. Krishnan, who is Hindu, made the nearly two-hour drive from Milwaukee, Wisconsin, to attend the event. Highlights from Sunday’s program included speeches by human rights activist Dr. Richard Benkin; Indian Consul Head of Chancery D.B. Bhati; and Aviv Ezra, the Consul General of Israel to the Midwest. 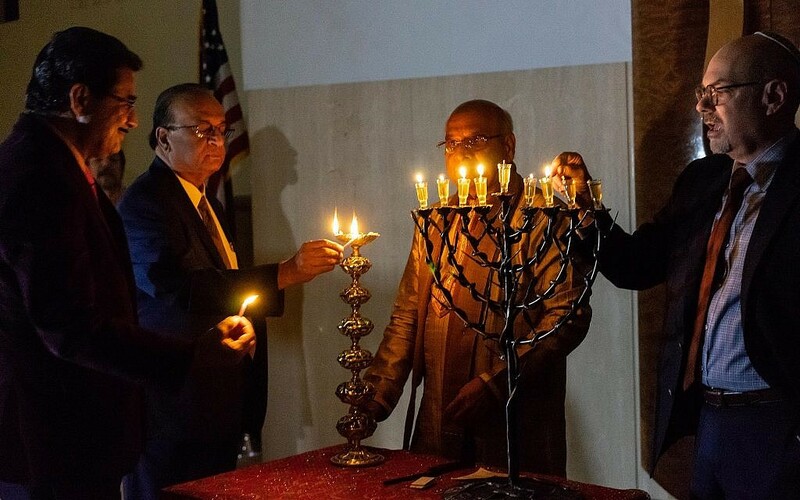 Bhati drew parallels between Diwali’s festival of lights and the lights of Hanukkah, while Ezra highlighted the 26 years of diplomacy between Israel and India. That relationship has “grown in even more profound ways” since India’s Prime Minister Narendra Modi and Israeli Prime Minister Benjamin Netanyahu visited each other’s respective countries last year, Ezra said. 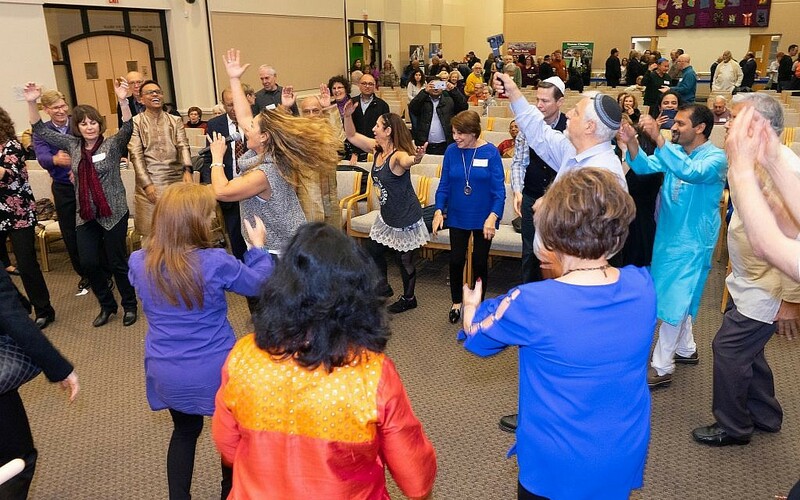 The idea for the joint festival began five years ago when Peggy Shapiro, Midwest executive director of StandWithUs, invited leaders of the Indian community to her house for dinner to celebrate the 65th anniversaries of Indian and Israeli independence. “The problem is, what food do you serve?” joked Shapiro. “When we got together that night at my dining room table, we found such commonalities in our communities,” Shapiro said. “I learned a bit more about India and the Jewish community there — India is one of the only places in the world that has never had anti-Semitism,” she said (presumably attributing the horrific 2008 attacks on the Mumbai Chabad House to Islamic terrorism, rather than specific hatred against Jews). Prasad Yalamanchi of the Global Hindu Heritage Foundation also spoke about India’s support for Israel and stressed the shared experiences between Hindus and Jews, including the staggering losses that both communities faced due to persecution. “We need to get together, Hindus and Jews, to protect our heritage and civilization for future of generations,” he said to roaring applause. 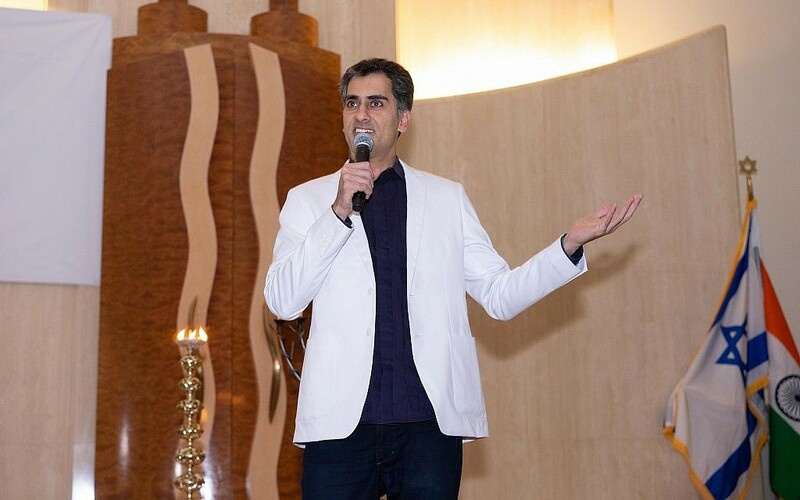 Koletar poked fun at Jewish and Indian stereotypes to the delight of a mixed crowd that apparently had a common appreciation for self-deprecating humor. And like any good comedian, Koletar didn’t spare himself, laughing about people’s confused reactions to his mixed Indian-Jewish heritage. Rounding out the speeches, Dr. Souptik Mukherjee — a researcher who has long been an advocate for Hindu-Jewish relations, and who has contributed to Israeli media — spoke about the 2,500 year history of Hindu-Jewish relationships. “[Our] two communities today unite to celebrate values dear to us all, of coexistence, tolerance, gender equality, mutual respect and respect for each other’s culture and faith,” Mukherjee said. 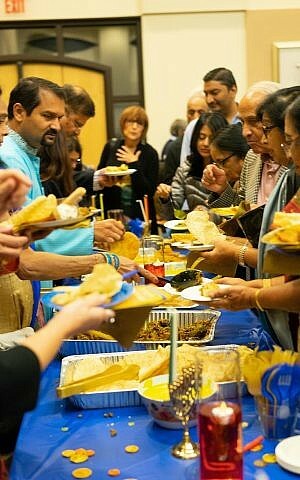 The festival concluded with traditional Hanukkah and Diwali desserts, followed by dance lessons from each culture. 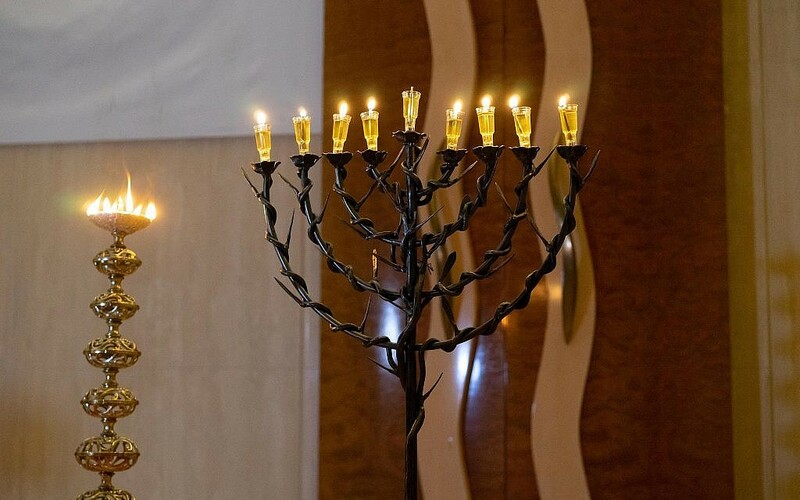 “It’s really wonderful to have this event in our synagogue, and see new faces in here,” noted Mandy Herlich, the director of lifelong learning at Temple Beth-El. 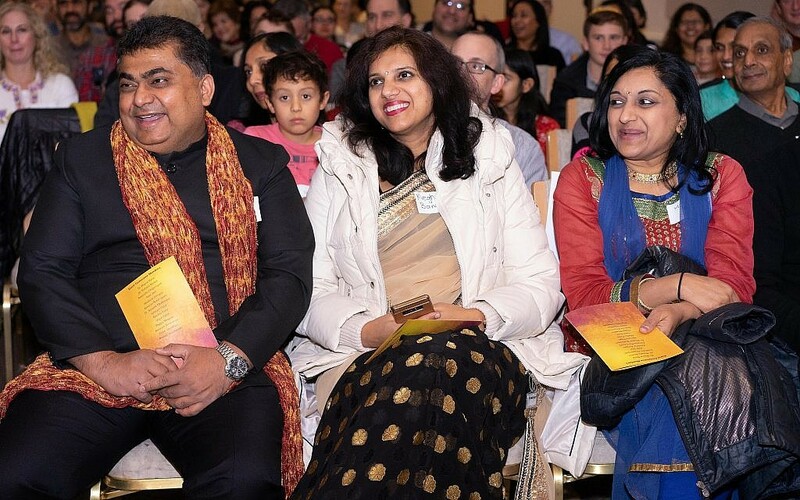 Chicago’s Festival of Lights was sponsored by the Global Hindu Heritage Foundation, Param Shakti Peeth of America, Sewa Interational, Shir Hadash, StandwithUs, Temple Beth-El, TV Asia, and Vishwa Hindu Parishad of America.